Trees and flowers are some of the best assets which keep your property beautiful and colorful. However, there comes a time when leaves and flowers start piling up on the lawn making the grass look untidy. On the other hand, the pavements which lead to your garden may be clamped with snow during winter making it hard to reach your destination. In both of these scenarios, a weed eater broom attachment is what’s needed to keep the job going. Unlike ordinary brooms, weed eater broom attachments are the best tools which help to remove light snow, mud, dust and other debris from your lawn or garden bed. These tools are light weight and come in various models and brands which suit your home use. Power brooms can either be electric or gas-powered depending with the type of trimmer being used. Depending on the type of tasks they’re intended to perform, power brooms are powerful and are the best alternative for removing snow, mud, leaves and other debris from your lawn or your garden footpath. 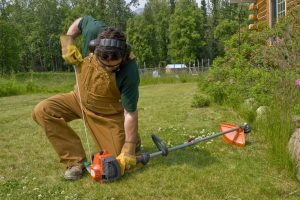 Since there are tons of new brands available on the market, this article will review some of the top weed eater broom attachments with the best ratings and reviews from most customers. 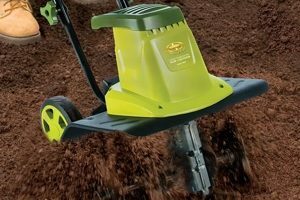 This Power Broom Attachment is among the best cleaning tools for your lawn or garden. BR720 Power Broom features nylon bristles which are ideal for gently cleaning snow, dust, mud and other debris from your footpath. This broom has a poly guard plate which supports it from the ground and also helps to push the debris forward and away from the user. The bristles have been designed in a special way that they can clean an entire 1 foot sidewalk without any problems. This power broom is designed to be used by 2-stroke engines with fuel consumption of 40:1. The TrimmerPlus BR720 Power Broom Attachment has solid bristles which are best for removing debris and tree leaves from your lawn. This broom is very easy to operate as compared to other attachments. BR720 has been designed to perform multiple tasks such as removing snow, mud, tree leaves and other debris from your lawn’s artificial grass, parking area and sidewalks. The price of this power broom is inexpensive and affordable for all customers. This power broom is very heavy and needs a lot of muscle power to maneuver it on artificial grass. The sweep head of this broom is very narrow meaning it can only clean a small area. The Universal Craftsman Power Broom is a heavy duty cleaning broom mostly used by gas-powered trimmers. 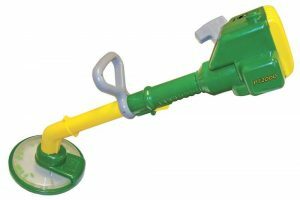 This tool is perfect for removing snow, debris and dirt from your garden bed, sidewalks and parking area quickly and efficiently. By pulling a trigger on your trimmer, this power broom is capable of cleaning a path 12 inches wide without any compromise. The broom features sturdy nylon bristles which perform a powerful sweeping action to any surface they’re assigned to clean. 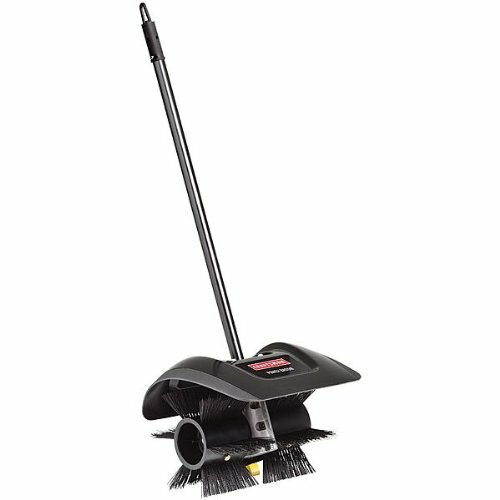 This broom is built with a heavy duty gearbox for superior performance. With such a tool at your disposal, forget having a manual sweeper or an air compressor. Simply attach the power broom to your gas trimmer and get ready to sweep away every bit of dirt and debris that stands your way. The Universal Craftsman Power Broom has a weight of 13.8 pounds and dimensions of 38×14×15 inches. This power broom is extremely strong and durable. It has the capacity to remove even the smallest dirt and debris in between the sidewalk cracks. The price of this tool is relatively inexpensive. It’s universal and capable of attaching to multiple trimmers. The metal bolts are very delicate and need a lot of care when tightening to avoid the brush from falling off. When attached to a gas trimmer, the whole unit becomes very heavy and tiresome when sweeping. 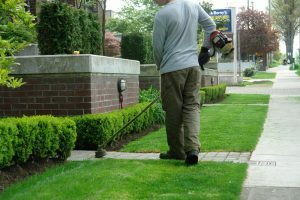 Weed eater broom attachments are among the most essential attachments which perform a key role in our gardens, sidewalks, driveways and lawns. They eliminate the hassles of having to rely on manual sweepers and blowers. With just a single power broom attachment at your disposal, you’re able to sweep away snow, dirt, tree leaves and soil particles from your lawn or sidewalks with ease.